Which individuals have changed the face of the private debt asset class? PDI presents its inaugural top 30.
Who are the most influential people in private debt? As we discovered, this is far from an easy question to answer and countless contenders just missed out. It was a fascinating exercise, but also, of necessity, a somewhat ruthless one. Ten years out from the global financial crisis, lending today little resembles the landscape pre-global financial crisis. The largest credit managers can underwrite $1 billion-plus loans, and the average closed-end fund size is now in the 10 digits, according to PDI data. There has been a proliferation of private equity firms setting up lending arms and credit veterans striking out on their own. Limited partners understand direct lending and have found different buckets in which to put their distressed debt and mezzanine investments. They have rejigged their asset allocation to add private credit. Of course, credit managers and their investors are only one side of the asset class’s growth story. It grew into what it is today largely because of decisions made by US federal regulators and central bankers. In trying to identify our “most influential”, we aimed to make it as objective as possible: who were the prominent figures behind some of the marquee events and decisions that shaped the asset class, people without whom private debt would not be the same? Put another way, scale and success do not necessarily guarantee influence here. This list consists of industry players, but the legislators and central bankers that set the stage for the asset class’s quick growth also deserve a mention. In the US, in particular, regulators were to the fore. Chris Dodd and Barney Frank played a pivotal role ushering in a new era of much more stringent regulations that in part pushed banks out of the mid-market. In addition, former Federal Reserve chairs Ben Bernanke and Janet Yellen both made strategic decisions to keep low interest rates in place for years and oversaw the implementation of the leveraged lending guidelines, which effectively capped leverage at 6x EBITDA for the banks. First, many of those on the list are active in direct lending and business development companies, a unique type of US mid-market lending vehicle. We acknowledge that private credit encompasses an array of strategies and the list may be asymmetric to the asset class as a whole but given much of the growth came in direct lending, our list reflects that. Second, diversity within the industry, or at least among senior executives, continues to be an issue. Frankly, the list is not as diverse as we’d like it to be and maybe it serves as a reminder that more needs to be done on the diversity issue. We hope in future years it will show advances in this respect. Arougheti led Ares Capital Corporation through the global financial crisis and ultimately capitalised on an opportunity the episode presented: the $648 million acquisition of Allied Capital. 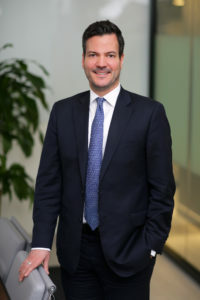 One of the earliest big BDC mergers, it set the stage for the transactions that followed, including Ares Capital’s purchase of American Capital, overseen by now-chief executive Kipp deVeer and valued at north of $3 billion, which is the biggest BDC merger to date. “So, when American Capital presented itself, we literally had an M&A playbook that we had developed across the entire Ares Management platform,” Arougheti previously told PDI, partially referencing the Allied Capital transaction. 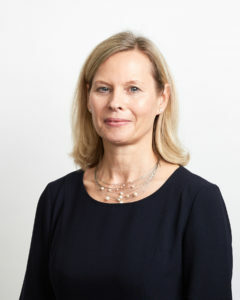 Balkan joined Brookfield as a managing partner in 2002, meaning she was with the firm before it raised its first real estate debt fund, the 2004-vintage $600 million BREF I. The initial vehicle invested 41 loans, producing a net total value paid in multiple of 1.54x and a net internal rate of return of 10.5 percent. Interest in real estate debt funds has been growing in recent years. 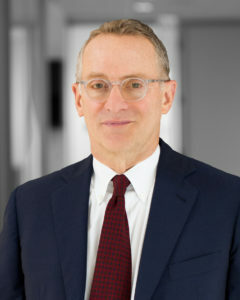 Brookfield’s fundraising totals have risen with the asset class and it closed its fifth debt fund on its $3 billion hard-cap last year. That vehicle was its largest yet and smashed its $1.38 billion raise for Fund IV. 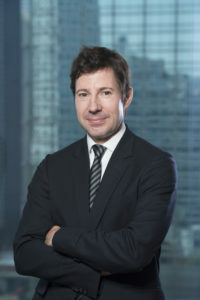 Barbarino was an early advocate for direct lending at consulting firm NEPC where he authored a white paper as the asset class was still in its infancy. While mezzanine and distressed debt weren’t uncommon pre-global financial crisis, non-bank financial companies offering senior debt were not common. In a September 2010 white paper, Barbarino articulated what would become a refrain for senior lenders: senior loans offer inherent downside protection and the illiquidity premium direct lending funds offer is worth the trade-off of locking up capital for long periods of time. Now a senior investment officer in alternative credit working with New York City pension plans, Barbarino works with a large portfolio. Bock’s name is synonymous with BDCs; he’s even been referred to as the “BDC evangelist”. In his capacity at Wells Fargo, Bock consistently, and unapologetically, asked BDC management the questions they would have preferred not to answer, particularly about fees. Notably, he stepped up that effort by putting pressure on managers to rework their fee structures after the US Congress passed a bill increasing the allowable BDC leverage from a 1:1 debt-to-equity ratio to 2:1, which, if unchanged, would have resulted in higher fees on investors. Earlier this year, Bock departed the firm to become CFO at the Barings BDC, which has one of the more shareholder-friendly fee structures. 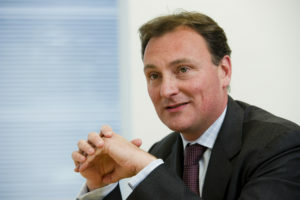 Castledine built his reputation at Lancashire County Pension Fund where, as deputy chief investment officer, he oversaw a £6 billion asset pool and became a big-ticket investor in the larger deal market. Now he has the reins at the LPP – a joint venture between the Lancashire and London Pension Funds which is the first major pooling of Local Government Pension Scheme assets. Peers say he is more inclined than he used to be to back smaller deals having seen how well some performed through the crisis. He also sees himself as a representative of hard-working people, feeling a strong responsibility to safeguard pensions by selecting the best managers and driving hard bargains. Assisted by fellow co-founder Antoine Flamarion, Chabran has guided the rapid growth of Tikehau’s assets under management (€6.4 billion in private debt and €14.8 billion overall at the midway point of this year). It has done so with an owner mentality that peers point to as highly unusual, if not unique, in private debt. The firm was built on equity contributions from family and friends, including some of France’s most high-powered individuals. In 2017, the firm listed on Euronext Paris. It has also developed highly diversified strategies and is perhaps the best example of a broadly-based private debt approach in Europe. 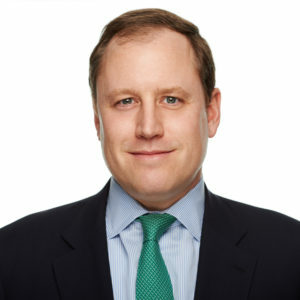 Dillard recently moved to Hong Kong from New York where he managed KKR’s special situations funds. He had previously worked for the firm in Hong Kong, developing its Asian operations in 2008 and 2009, right after the global financial crisis. Now he is back, bringing his perspective to the expansion of the firm’s credit investments in the region across distressed, event-driven situations, mezzanine financing and direct lending. Prior to KKR, he was at Morgan Stanley in its mergers and acquisitions investment banking group. Dong-hun has overseen dramatic asset growth at POBA, now at $11 billion compared with $7.2 billion when he joined in 2015. 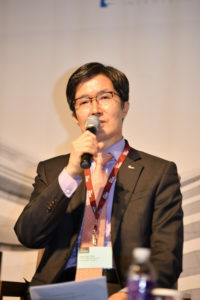 Bringing 30 years of well-rounded investment experience spanning equities, fixed income and alternatives to the organisation, he also serves as a member of the investment advisory committees for other Korean LPs such as Police Mutual Aid Association and Mutual Aid for Small Enterprises and Enterprisers. POBA is known for its active allocation to private debt funds and had deployed $400 million across structured credit, mezzanine and senior loan strategies in the year to 30 June. Its private credit manager roster includes Antares Capital, Ares Management and Golub Capital to name a few. Durteste was instrumental in getting a European pioneer of private debt up and running. He joined in 2002 and did mezzanine deals which “came through the crisis with a good track record” according to a peer, then founded the credit group in 2010. The firm launched the first in a series of direct lending funds in 2011, culminating in the €5.2 billion Senior Debt Partners III fund towards the end of last year. Durteste, along with other senior professionals such as European head of direct lending Max Mitchell, have created a juggernaut that – by offering loans of €400 million or more – can genuinely compete with the banks at the larger end. When blue-chip UK insurer L&G bought a 40 percent stake in Pemberton and committed €250 million to its financing platform in 2014, it was an extraordinary vindication for a newcomer to the European private debt scene, which was competing for L&G’s attention with much longer established firms. Spearheaded by Drake-Brockman, the former global head of debt markets at RBS, the firm had gambled by not following the crowd. At a time when “me too” outfits were piling into private equity-sponsored deals, Pemberton went big into the sponsorless market, putting lots of boots on the ground. The firm also came out with a lower-return strategy compared with many others – that was specifically, and successfully, targeted at the insurance community. TSLX has certainly been one of the most successful BDCs in recent years, one of the few that can almost always access equity markets. Easterly and Fishman made this list, though, for an activist campaign that shed light on BDC fee structures that weren’t shareholder friendly. TSLX took a 3 percent stake in TICC Capital Corporation in 2015 and then made several bids for TICC, with TSLX’s co-chief executives maintaining TICC management took fees while delivering poor returns to stockholders. Asked why he got involved in this mess, Easterly says it was because he wanted shareholders to be treated fairly. “The eco-system has to be healthy for the industry to grow,” he said in a PDI report in November 2015. While TSLX ultimately did not prevail, TICC did cut its fees following its battle with TPG and instituted a total-return hurdle. 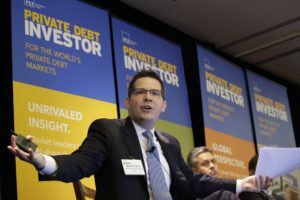 An active investor in private credit funds since 2007, the APFC decided to go direct this year, with the $1 billion Alaska Direct Alternative Credit and a $500 million co-investment programme with Pathway Capital Management. The ADAC will consist of both liquid loans and private loans, though the latter will make up a majority of the portfolio. The Pathway fund will build a diversified portfolio of private credit co-investments. Jared Brimberry, a senior portfolio manager for the private income and absolute return allocations, is helping to oversee the effort as well. 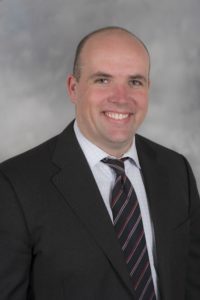 Having gained extensive structured finance and leveraged loan experience at Chemical Bank, Bankers Trust and Barclays Capital, Forbes-Nixon founded Alcentra in 2002. The firm went on to become a subsidiary of Bank of New York in 2006 and then part of BNY Mellon the following year. Under Forbes-Nixon’s leadership, Alcentra has evolved from its strong background in CLOs to develop a wide-ranging private debt strategy. The firm was assisted in its move into private debt by an already-strong brand name that resonated with investors. Many other firms have since followed Alcentra in crossing over to private debt from existing areas of expertise such as hedge funds and private equity. Golub pushed back against poor manager-investor alignment in some BDC fee structures by being among the earlier adopters of an indefinite lookback that capped incentive fees for its BDC, which it registered with the Securities and Exchange Commission in 2009. Another benefit to shareholders is the 8 percent hurdle rate, above many other BDCs. In addition, Golub has emphasised one-stop loans since before the GFC – via its proprietary GOLD facility – helping popularise the financing. In 2002, Gradel co-founded PAG, which now manages over $20 billion of assets. He looks after PAG’s absolute returns business which includes multi-asset pan-Asian hedge fund and credit-focused fund strategies. Within that strategy, Gradel looks for inefficiencies and dislocations in the market, such as short-term direct lending to corporates, distressed debt and convertible bonds. He arrived in the greater China region in 1995 with a focus on buying out and turning around state-owned companies. BDCs have been around for almost 30 years but have only been widely noticed in the last 15 or so years. In 2004, Apollo’s BDC raised $930 million in its initial public offering, a figure that is sizeable even by today’s standards; it was still almost $275 million more than the average fund size in 2016. 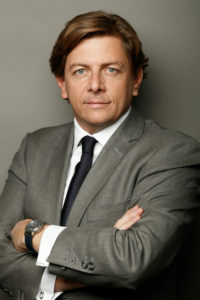 In 2006, Gross left Apollo, of which he was a founder, to establish Solar Capital, which, among other platforms, oversees two BDCs. 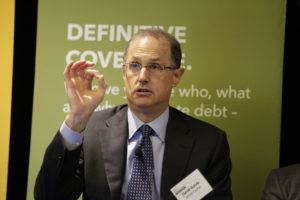 He and chief operating officer Bruce Spohler have built out Solar’s flagship BDC’s total assets to $1.65 billion, as of 30 June. Jarratt has overseen the expansion of the private debt programme at GIC since its inception in 2013. He has also successfully built out the sovereign wealth fund’s direct investing activities and is now responsible for all private credit investments in Europe, the US and Asia across direct and co-investments and fund investments. It is understood that GIC will aim to have a similar weight in the private debt market as it has in private equity, where it is the single largest LP that allocates to the asset class. Certior was formed in 2011 but the partners of the Helsinki-based fund of funds manager and advisor have been working together since 2004. Pasi Pihlajamaa and Timo Hara have built their own solid reputations but Jauho has been a tireless campaigner for private debt – a trooper on the conference circuit and a beater of the drum who has done much to encourage Finnish pension capital to become a major source of capital for the asset class. The Certior team claims to have made more than 50 primary, secondary and co-investments across private credit and is a big supporter of differentiated, first-time managers. Jenkins and Vigna oversaw the purchase of Antares Capital from GE Capital, which was shedding assets thanks to the Dodd-Frank Act that overhauled financial regulations in the US. GE purchased Antares Capital for more than $5 billion, doubling the size of its mid-market sponsored finance business, in 2005, and in 2015 agreed to sell it to Canada Pension Plan Investment Board in a deal valued at $12 billion. Post-CPPIB, both men continue to be prominent in the industry. Jenkins is now Carlyle’s first global head of credit, while Vigna is one of the key figures behind Sagard Credit Partners, which recently closed its debut fund. 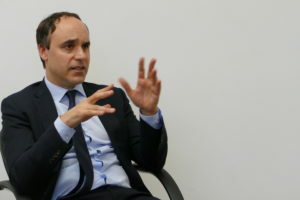 Appointed to the role in September 2016, La Torre earns her place thanks to BBI – the investment arm of the British Business Bank – having been prepared to put government money behind a wide range of innovative small and medium enterprise funding platforms (including but not limited to marketplace lenders) in the process helping to widen the private debt universe. Recent examples have included Simply Asset Finance and the Regional Angels Programme. La Torre brings 20 years’ finance experience to the role, having held senior roles with several private equity firms. 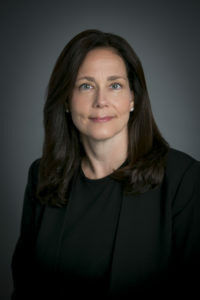 MacDonald, now chief investment officer at Rutgers University, was responsible for much of the alternative investment activity at the New Jersey Pension Fund. That included a December 2011 commitment for a $300 million direct lending separate account to Cerberus Capital Management. New Jersey didn’t shy away from BDCs either. It made a May 2011 commitment of $200 million to TPG Specialty Lending and allocated $600 million to Owl Rock Capital Corporation, $400 million to the BDC and $200 million for co-investments. With MacDonald at the helm, Rutgers has also made investments with Owl Rock. Any discussion of the most influential figures in debt investing would be incomplete without Marks. He is viewed as a pioneer of distressed securities and his name has become synonymous with the strategy. Oaktree’s initial closed-end distressed debt fund – a $97 million vehicle that operated under the TCW name, where Marks was prior to Oaktree – generated a 24.7 percent net internal rate of return and a 2.3x multiple of drawn capital. The firm set several fundraising records: in 1997, it raised the then-record $1.55 billion OCM Opportunities Fund II and in 2008 launched the first fund to pass the 11-figure mark, the $10.9 billion OCM Opportunities Fund VIIB. The opinions and insights offered in his memos are among the most prominent commentaries on private debt and garner widespread discussion. Last year, for instance, Marks penned a piece on the use of subscription lines in drawdown funds, igniting a conversation about the issue across the asset class. 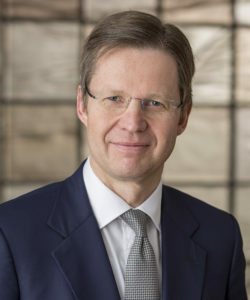 Nesbitt has been an advocate for private credit and developed two separate indices for the asset class, providing performance benchmarks for a relatively opaque asset class. The Cliffwater BDC Index and the Cliffwater Direct Lending Index are both featured on Bloomberg. 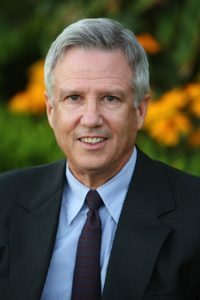 For the CDLI, launched three years ago, Nesbitt and his team calculated the direct lending returns back to 2004 using BDCs’ Securities and Exchange Commission filings. It has provided limited partners with a proxy to broadly understand performance when these figures are usually carefully guarded by GPs. 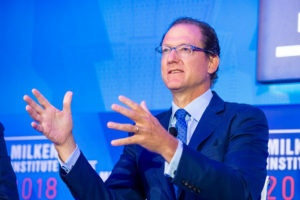 A tireless advocate for the asset class, Newsome was involved in designing and placing a range of private debt funds with Merrill Lynch Alternative Investment Group from 2000 to 2009. Since launching advisory firm Arbour Partners in 2010, he has continued to help private debt managers grow as well as cultivating ‘private debt 2.0’, comprising marketplace lenders and other innovative providers of finance in the digital age. A big part of his current mission is persuading institutional investors of the merits of these new kids on the block, but he has also been at the forefront of boosting the sponsorless market more generally. Panier has been a leading backer of private debt businesses within the EIF, helping them at a formative stage. The EIF is seen as less innovative than, for example, the British Business Bank. That’s not surprising, given that it caters to 27 countries and has a vast number of potential investment opportunities to sift through. “Intense” and “industrialised” are two of the words used by market sources to describe EIF due diligence. But while the organisation may not have done as much as others to back innovative platforms, it has backed a huge number of managers and the private debt universe may well have been much smaller without it. Panier has been at the centre of this. Petty is recognised for his long tenure in Asia, having established Clearwater in 2001 with his co-founder Amit Gupta. His firm has partnered with other credit managers and institutional investors such as Varde Partners and Abu Dhabi Investment Council for its Indian credit platform. Clearwater’s merger with Fiera Capital, the Toronto-listed asset management firm, provides further evidence of the firm’s innovation through partnership. The firm has direct lending strategies in both China and India. Petty speaks widely at conferences. Some LPs have dipped their toe into the private credit pool of capital. Not Polen’s ASRS. The Grand Canyon State’s pension fund has run full speed toward the asset class. ASRS has a 12 percent allocation goal toward private debt, more than the 8 percent the retirement plan devotes to private equity. Not only has its portfolio been weighted toward private credit, but ASRS has made large commitments, setting up at least nine separate accounts. Its largest, the $1.2 billion Cerberus ASRS Credit Opportunities Fund, which invests in senior loans, is larger than many commingled vehicles. 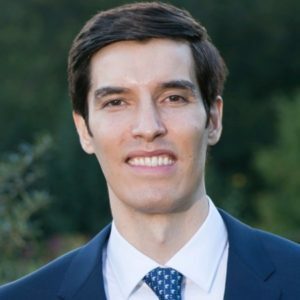 Previously global head of corporate credit at UBS Investment Bank, Sinik made his first big splash in private debt when he led private equity firm Towerbrook Capital Partners’ seed investment in Hayfin, now one of the mainstays of the European private debt landscape. Other investors, including Ontario Municipal Employees Retirement System, Public Sector Pension Investment Board and Future Fund were pulled in alongside. At Metric, Sinik has raised large funds quickly while blurring capital structure boundaries. He is a pragmatist, believing that each situation demands a tailored capital solution. He also seeks higher returns than many in private debt, keeping certain investors interested in the asset class that may otherwise not be.